A sleek designed pet food bowl that digitally measures the weight of food given, delivers unique feeding suggestions based on your pet, has anti-bacterial features, and is ergonomically contoured for your dog's comfort. 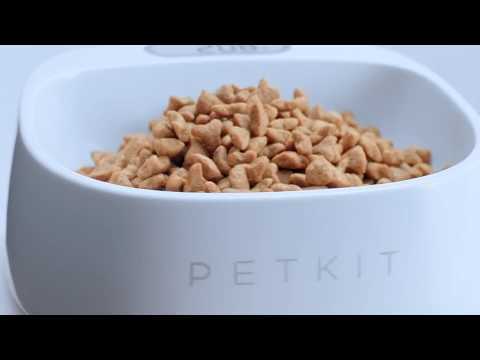 The PETKIT FRESH METAL Smart Digital Pet Bowl provides an accurate way to calculate your pet's food intake by measuring the weight, in both Pounds and Kilograms. With a built-in digital scale, it easily allows you to precisely control the amount of dry food your pet should eat. Healthy feeding starts now! Download the FREE PETKIT app (available for IOS and Android devices) and with the basic information you provide- weight, breed, age, food- you'll receive unique suggestions that are calculated based on your pet's profile!